A note from the Executive Director. First and foremost, I’d like to start by thanking everyone who has supported Florida Chiropractic Conferences over the last 3 years. We are so pleased to see our vision of affordably priced, quality Chiropractic continuing education in Florida realized and we could not have done it without you, our attendees, sponsors, and friends. Effective 4/1/2017 , due to the increase in production costs, the prices of our CE events will be increasing. Your satisfaction and the quality of our CE programs is of the utmost importance to us. It is crucial that we don’t just deliver you the bare minimum at our events. Florida Chiropractic Conferences goes to affordable properties that are clean, safe, and comfortable. We make an effort to book multiple new and innovative speakers who are always fully accredited and meet all state requirements. We provide you, our attendees, with breakfast and lunch at no extra charge to enhance your experience at the event. And we believe that as health professionals fulfilling your state mandated requirements, you deserve this. This is why although our prices have changed we have made every effort to make the increase the smallest amount possible. Additionally, as we’ve promised before, there are not and will not ever be any membership fees. Florida Chiropractic Conferences still remains the best deal in the state, bar none. High membership, hotel, and attendance fees won’t buy you the FCC experience. Finally, I’d like to remind you that our Loyalty Program is still available and the cost has NOT changed! $600 gets you two 20-hour CE conferences AND a free CE Broker Professional account as well as workshop discounts and other perks! I’m opening up Loyalty Registration for the rest of the month. Don’t miss out on this “pot o’ gold”, click here to sign up today! Thank you truly for all of your support! It is with our deepest regret that we share the news of the passing of our friend and colleague, Dr. Stan Kaplan. 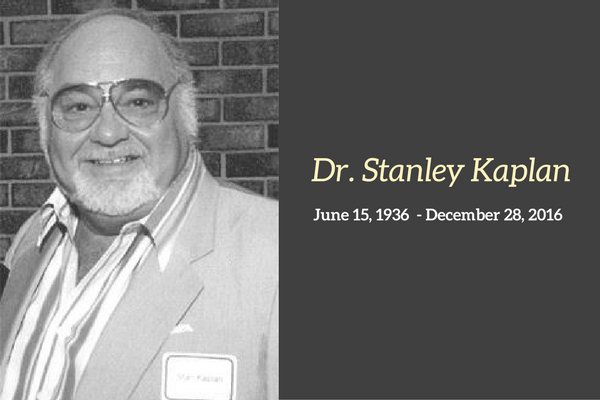 Dr. Kaplan passed away in his sleep on December 28th and a private service was held in Cocoa Beach. Stan served his family, friends, colleagues, and patients with dignity, humor, and respect. He was a giant in our profession and we will all miss him. Changing the Public’s Perception of Chiropractic-What Should You Be Doing? Here is some great news that is going to change the public’s perception of chiropractic now and in the future. ChiroSecure and our partners have spent hundreds of thousands of dollars researching the stroke and chiropractic issue. chiropractic manipulative therapy and vertebral artery dissection. This is great news for you and great news for Chiropractic. So now the big questions. What do we do with the news? What do you do with the news? What should you do with the news? available based on research will be asserted. That is what you want and expect from your malpractice carrier, right? However, all of us need to play a role in this movement to change the public’s perception of chiropractic and what you do. What do you do now that the proof exists that the chiropractic adjustment does not cause arterial dissection? Salvucci to discuss exactly where we go from here. Join us Tuesday, May 24th, 2:00 PM EST for Changing the Public’s Perception of Chiropractic-What Should You Be Doing? Are you ready to join the movement? You have no choice. We want chiropractic and you to get the respect you deserve and on this ChiroSecure Live Event we will help you get there. PLEASE NOTE: We will be providing valuable notes to every attendee of the Live Event. CHIROSECURE CONCIERGE SERVICE: Sign up for our Concierge Service and we will automatically send you the video replay, the notes and the transcripts for all our Live Events without ever having to show up again. *Supporting the Chiropractic community for over 24 years, ChiroSecure’s Live Events educate and support you, the practitioner, by making sure you have the information you need to protect you, your practice and your future. of dropping the state’s no-fault Personal Injury Protection car insurance system. Officials plan to choose a vendor to work on the report by June, with a draft due Aug. 26 and a final report due Sept. 2, records from the Department of Financial Services show. As The Palm Beach Post reported in March, 2012 legislation was supposed to eliminate up to $1 billion in fraud and cut no-fault car insurance bills, but records requested by the newspaper show whopping premium hikes up to 40 percent by Florida’s top insurers since the start of 2015. Among the biggest bill raisers: Allstate Fire and Casualty Insurance Co. has increased PIP premiums 39.8 percent and overall bills 30.7 percent, while for Geico General Insurance Co. and Geico Indemnity Co., the jump has been 22.8 percent for PIP and 18.1 percent overall. “Consumers are getting robbed,” said driver Michael Dorsett of Lake Worth. The state-required $10,000 in PIP coverage, begun in the 1970s, was designed to cover minor injuries regardless of who is at fault in an accident while avoiding lawsuits. But PIP produces mountains of its own lawsuits, and as many drivers see it, the fraud-prone system effectively makes them pay twice for medical coverage they already have from Medicare, employer plans or other health insurance. Florida is one of a handful of states with a no-fault system and drivers pay the fourth highest car insurance bills in the nation. The findings could help legislators as they explore dumping PIP. One option is requiring bodily-injury liability insurance, which most states do. More than 90 percent of Florida drivers already have that coverage. Given “the cycle of change of this magnitude, it may take a year or two to get through,” Hager said. Check out the schedule for the upcoming June 11 & 12, 2016 CE Conference in Tampa! Registration closes on Wednesday, June 1st and discounted hotel rates end on May 20th. Don’t delay, register today! Did you know we’re giving away 40 free CE Hours and a CE Broker Professional Account? Get a Jump Start on your CE hours! Florida Chiropractic Conferences is putting on its first Continuing Education conference of the 2016-2018 license renewal period in Tampa on June 11 & 12 at the Holiday Inn Tampa Westshore. As always, you can expect a quality CE weekend with great speakers, stress free attendance procedures, and *FREE* lunch! WOW! Start EARLY and beat the “end of the Biennium rush”! Click here to view the schedule and register! Want to save big? Click here to view details on our Loyalty Program! Don’t throw your money away on worthless membership fees. Pay one low price upfront and receive TWO CE conferences (all 40 hours) and a FREE CE Broker Professional account for the 2016-2018 license renewal period!